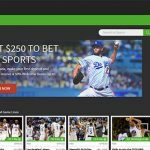 Bovada is a key player in online gambling, and it has a long history of reputable gaming made even better now with the integration of Bitcoin. Bovada is a big name in the online gambling world. This is mostly because it is one of the few online casinos that are open to US players. That’s a good thing since it has finally begun accepting Bitcoin, which is a big boost. 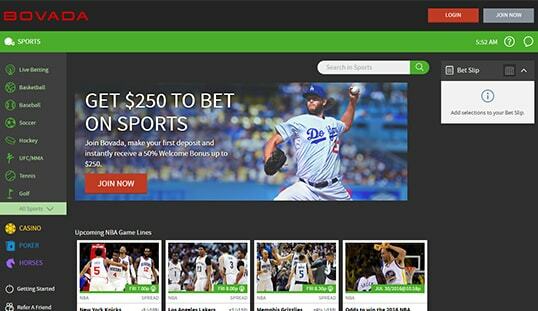 Launched in 2007, Bovada is an online gambling site for fans of sports betting, casino, horse betting, and poker. It is spearheaded by a team of individuals who have spent their life in the online gambling scene since the 90s. This site is certified and legitimate, with the license from Kahnawake Gaming Commission serving as enough proof. However, it is not open to players from all parts of the world as the site automatically restricts players from certain countries to access the gambling site. The site has a wide variety of betting options. There is the casino section that offers slots and table games for those used to traditional casinos. 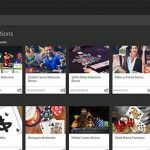 There is also a dedicated poker section for those who like the game. Finally, there is the sports betting section for those that like to wager on sports events, and is joined by a racebook for avid fans of horse betting. Also making Bovada all the more attractive is its dedication to provide above-standard gaming experiences. This is evident in the key developers of online game content that are on board the site. The site is very well-designed and is quite intuitive. All the information that a player needs is available with just a click. It doesn’t look cluttered and everything is pretty accessible. A visit to Bovada is supposed to focus on the gaming and the site does its best to stay out of the way. Moreover, it features games from known game providers like Realtime Gaming, BetSoft, and Genesis Gaming, to name a few. New members signing up for Bovada will need to give a lot of information. Expect to reveal your name, address, contact number, and more. Players who sign up can immediately start playing, although Bovada will occasionally ask for additional proofs of identity to help facilitate payments and deposits. Bovada has three main transaction venues nowadays: credit cards, money transfers, and Bitcoin. The more traditional payment options are stable and dependable, but they can be a bit slower compared to Bovada’s new Bitcoin payment option. Additionally, you may need to provide proofs of identity when using credit cards. Bovada is a very generous gaming site when it comes to promotions. 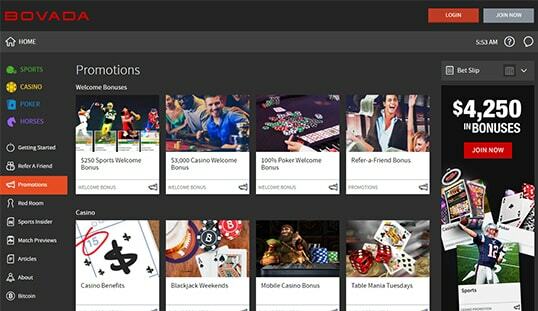 Regular players will constantly be receiving promotional codes and invites to the casino’s events. 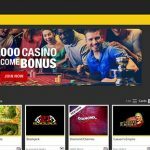 The important thing to new players is that Bovada’s welcome bonuses can be a great way to jumpstart their gambling fun. First, there is the $3,000 Casino Welcome Bonus. The bonus isn’t given out all at once – players receive a two promo codes that can be used four times each. Every deposit with slots code gets a 100% bonus with a $500 limit, while the other code gives the same 100% bonus but with a $250 limit. Second, there is the Sports Welcome Bonus. Using this bonus gets players a 50% bonus on their sports bet deposit up to $250. Third, the Poker Welcome Bonus is there. 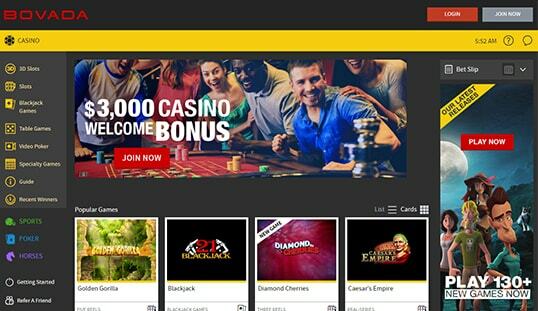 The bonus will give players a 100% bonus of up to $1,000 on their first deposit. Finally, there’s the Friend Referral Bonus. Refer a friend and you can get a 200% bonus based on their first deposit. The maximum is $100. The site is pretty good with support. There is a contact form for players with concerns to contact the admins. Your best bet would be to call the hotline. The customer service representatives are informative and understanding. They can help you deal with your concern as quickly as possible. Of course, adding a live chat support will make the customer service function all the more friendly.